A beautiful boutique style appliquéd baby bodysuit and leg warmer set. Perfect as a new baby gift or something special for your child to wear at their next birthday, special occasion or photo session. 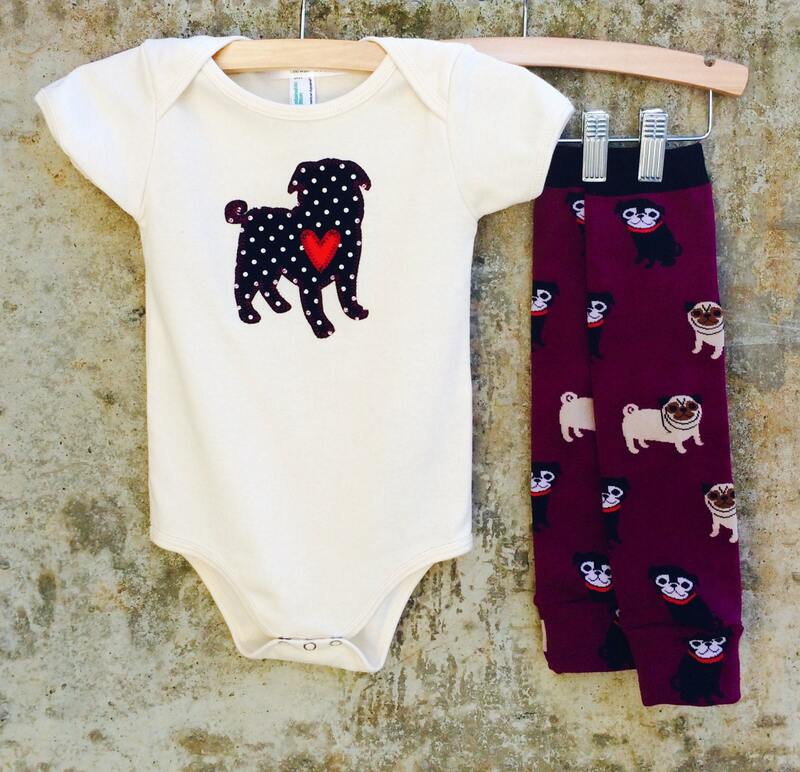 • You will receive the hand cut and machine stitched Pug appliqué on a new American Apparel brand shirt or baby bodysuit in the size, color and sleeve length of your choice along with coordinating leg warmers. * We use American Apparel, Primary and Colored Organics baby bodysuits. Please contact us with any specific sizing questions.